Glassolutions (formerly Solaglas) has been a GQA Approved Centre for over 14 years. As a GQA Centre it has provided quality training, assessment and verification services to essential workers, leading to national vocational qualifications (NVQ's). The Centre is managed by Simon Saffin, Glassolutions Sustainability & Environmental Manager. The company has adapted and changed over the years to innovate and meet the needs of the national qualification standards and sector in terms of products and services, particularly in Centre terms, for those involved in manufacturing and installation. 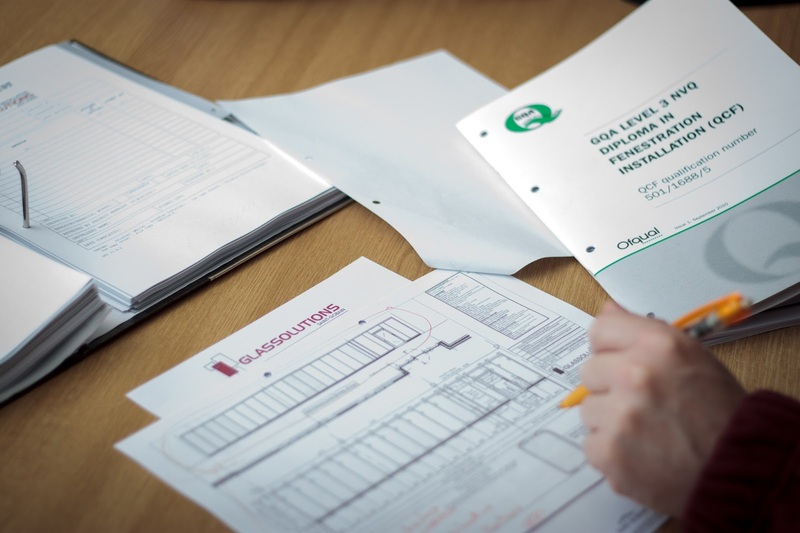 Glassolutions have for many years used GQA qualifications as the basis of training and assessing Fabricators, Glaziers, Installers and Processors as part of their commitment to the continual development of its workforce. Simon Saffin the approved Centre Co-ordinator and Glassolutions Sustainability & Environmental Manager explaining the NVQ process to a potential candidate from its Coventry manufacturing plant.